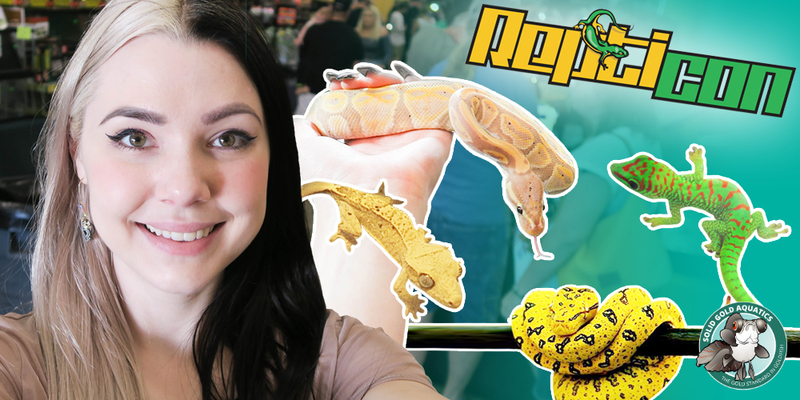 I had so much fun checking out the Orlando Repticon Reptile Show! We saw lots of cute snakes, lizards, and frogs and came home with some terrarium supplies for my six terrariums I’m setting up at home. Follow along to see what Repticon is all about and see if there’s a show location happening near you at the link below. This entry was posted in Axolotls, Dart Frogs, Giant Day Gecko, I Go Places & Do Things, Leopard Geckos, Reptile Shows, Reptiles & Amphibians, Turtles and tagged ball python, chameleon, crested gecko, dart frog, green tree python, leopard gecko, pacman frog, pet expo, Repticon, Repticon Orlando, reptile expo, reptile show.